Two years after its kick off, the Life Eco Pulplast project can show its first relevant progress achievements. After tuning the main process parameters such as temperature, injection pressure and cooling time, the activity focused on the evaluation of raw materials and on the development of plastic compounds, particularly with regard to their machinability as well as to pallets characteristics and performances. 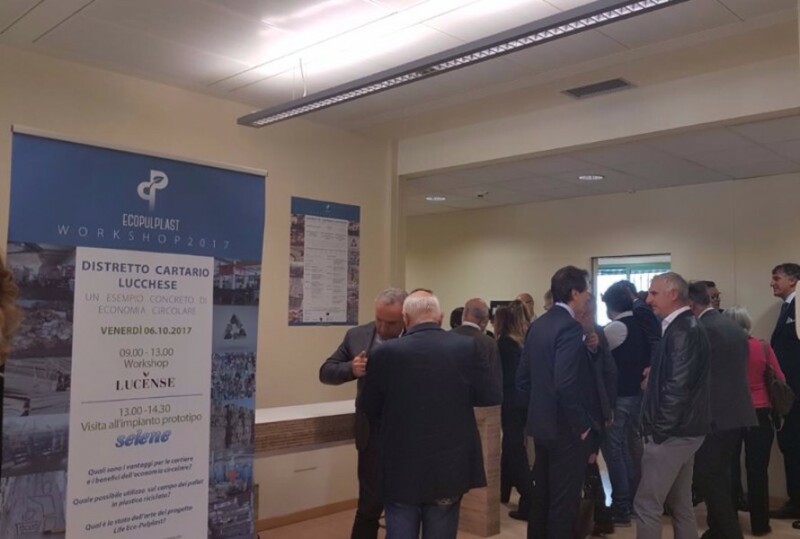 On Friday October 6, 2017, at LUCENSE, over 90 participants listened carefully to the updates about the Life-Eco-Pulplast project, two years after its launch. 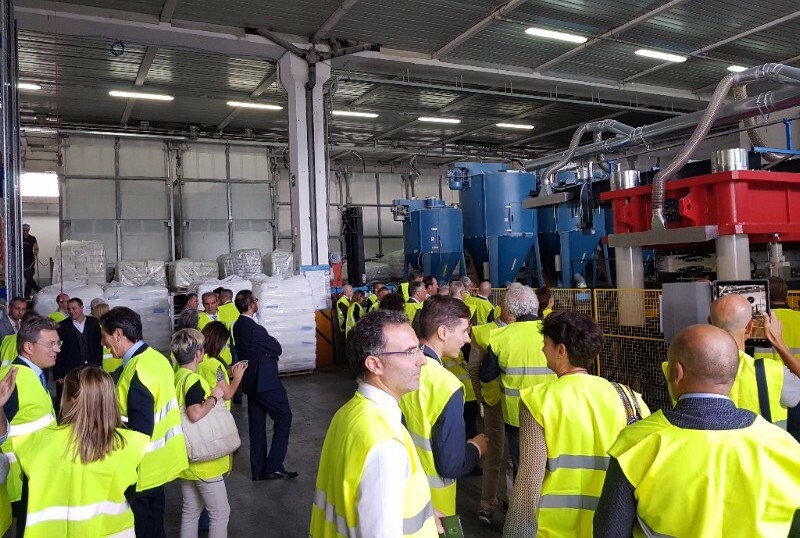 Simone Giangrandi from LUCENSE and Francesca Paoli from Selene, project coordinator, illustrated the project state of art, which has entered in its crucial phase, with the commissioning of the prototype line and the first pallets production. 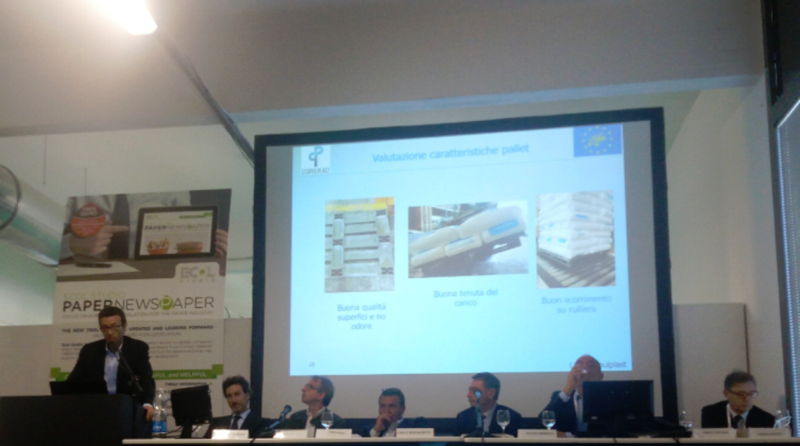 Italian National TV Channel Rai 3 Report on Life Eco-Pulplast project. 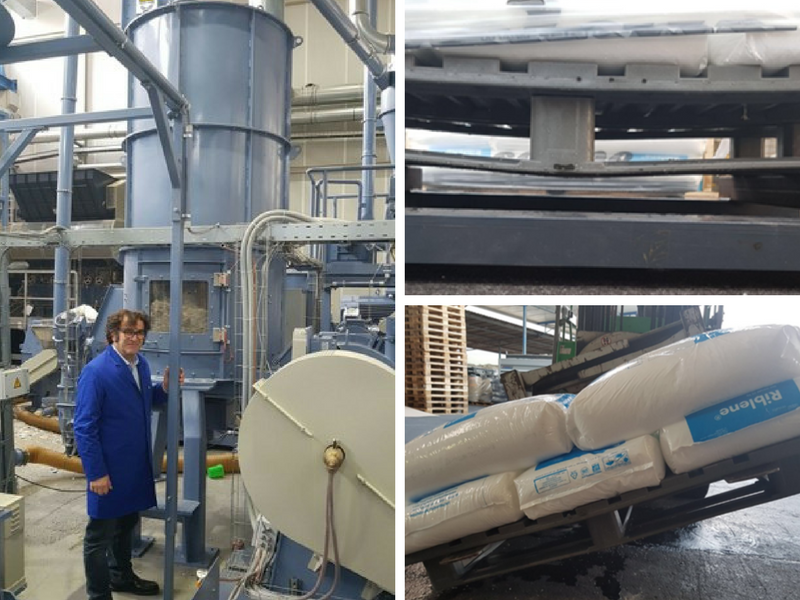 On Thursday, October 12th, Rai 3 visited Selene company, coordinator of the Life Eco-Pulplast project, to learn more about the relevant experimental project that has been supported by the European Union with an important funding under the Life program. 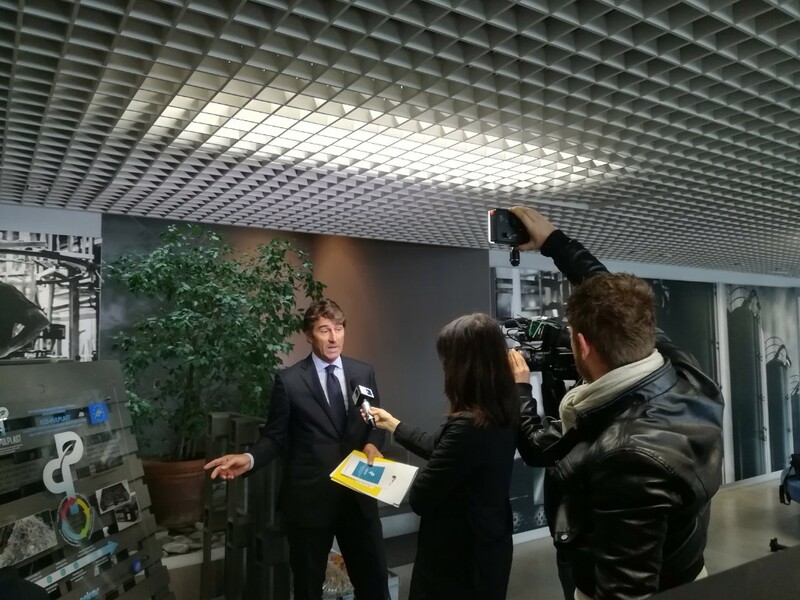 Interviews with Valter Severini, owner of Selene, and Giovanni Gambini, President of LUCENSE, project partner. 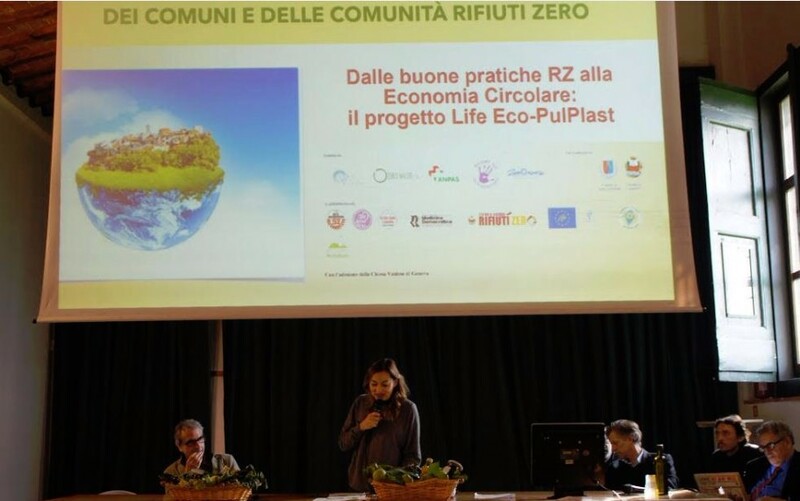 Patrizia Lo Sciuto and Rossano Ercolini presented the Life Eco-Pulplast project to several majors and to a delegation of international experts coming from the USA, Belgium and France. 13 October 2017 - "The quality of paper for recycling for the competitiveness of the paper chain in Europe's circular economy." Realacci: "The need for a more sustainable and human-sized economy is stronger and stronger, as well as the need for a more competitive economy”. On October 24th 2017, Green Italy Report was presented in Rome by Symbola Foundation and Unioncamere, in collaboration with CONAI and under the auspices of the Ministry of Environment and Ecopneus. 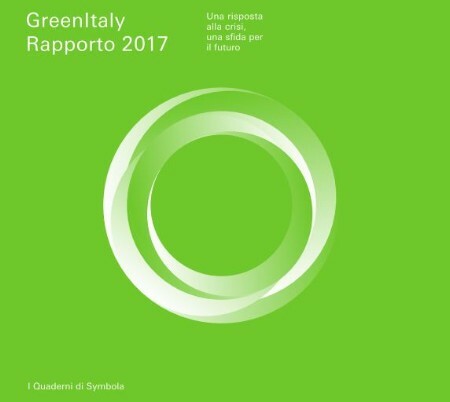 In this 8th edition what emerges is a scenario of realistic optimism for the enormous potential of sustainable development for Italy, where several individual excellences in green economy increasingly contribute to improve the environmental, economic and social impact through, for example, nearly 3 million workers involved in the so-called green jobs. “Today’s winners are the pioneers that are paving the way the European paper recycling value chain is advancing paper recycling to the next level” says Lisa Kretschmann, Chairperson of the EPRC.